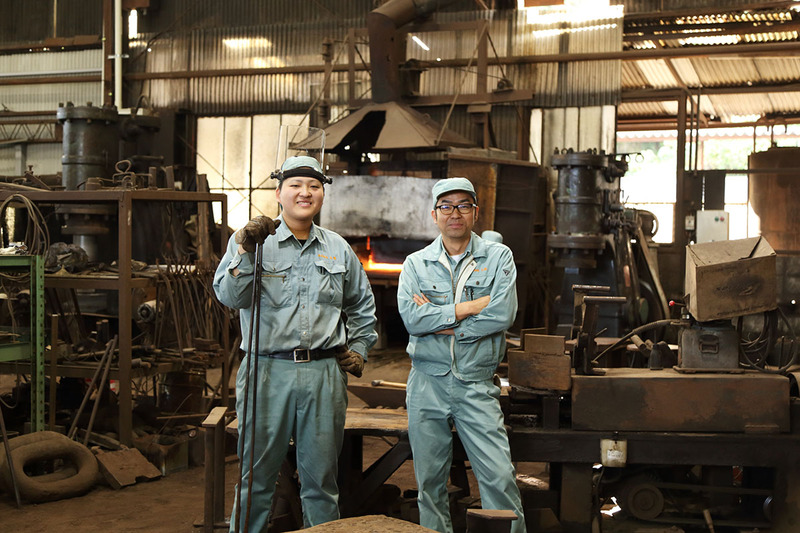 Tomonoura in Fukuyama City was once known nationwide as “a port waiting for a favorable tide.” As the name “Kaji-cho (literally blacksmith town)” still remains, there were many blacksmiths who operated their businesses alongside each other in Tomonoura. Industrialization progressed over time, and the blacksmiths and ironwork factories moved to the Ironworks Complex that was newly established along the coast about 3km north. 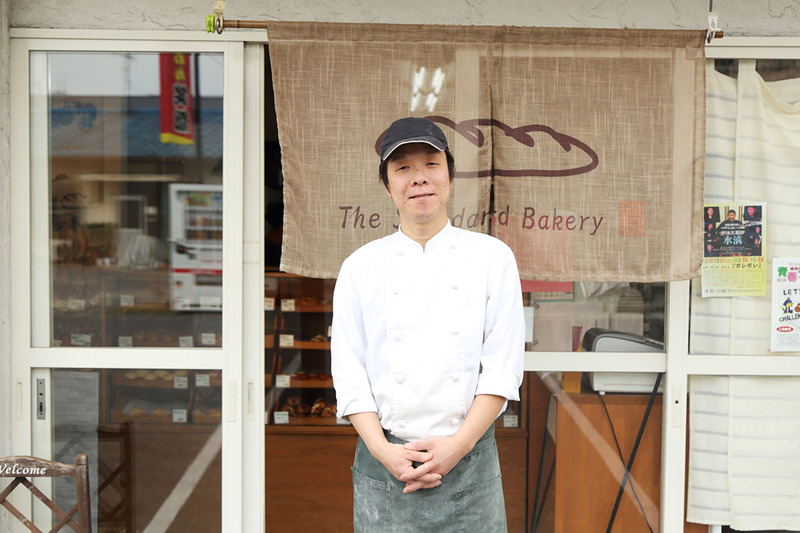 But even today, some of some of the businesses continue to operate. “SANGYO Corporation,” one of the cluster of factories, was established as a ship metal fittings factory in 1951. About 20 years later, they moved into land-based departments and started manufacturing fittings for wire ropes and bridges. Around 2012, SANGYO started to form a tag team with local furniture manufacturers. There was an opportunity with an offer asking for cooperation from a manufacturer in neighboring Fuchu City known as a furniture town. 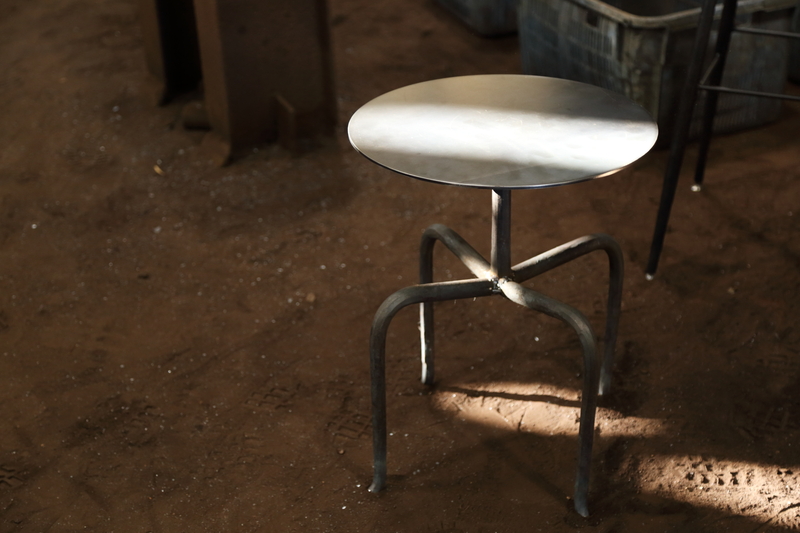 Around 2016, when full-scale OEM production for furniture manufacturers started, an anchor manufacturing factory within the same Ironworks Complex unfortunately decided to close its business due to the age of the owner. The factory, having a history of more than 100 years, was one of only a few factories left now manufacturing anchors by the “free forging” technique. 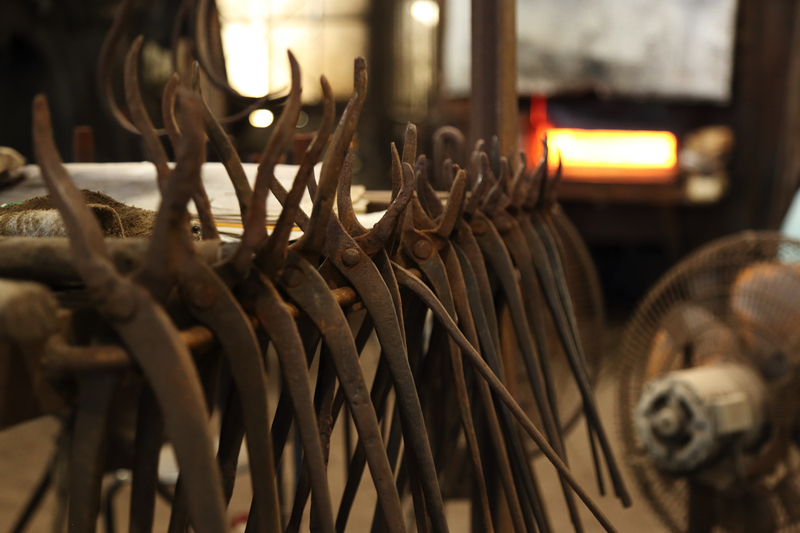 Free forging is the technique of forming hot metal material by striking (tempering). 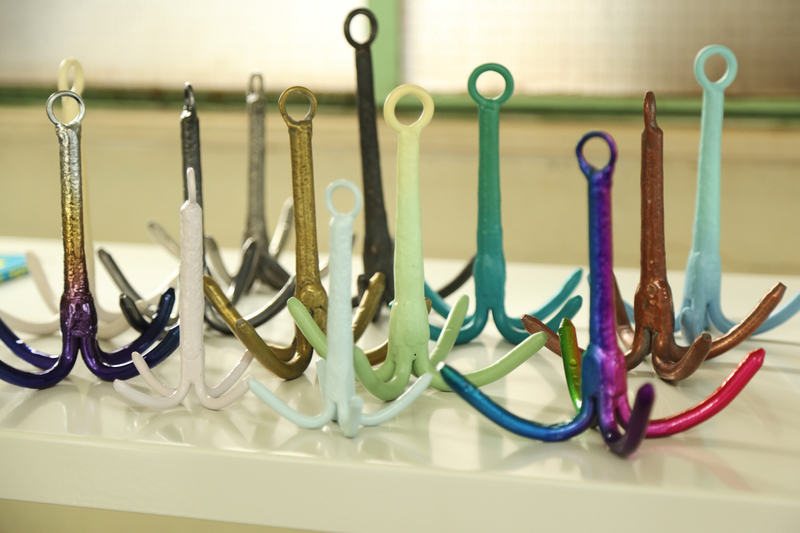 The anchor factory had kept making anchors by the forging technique, which is said to have continued for over 2,000 years, but the factory and the technique were about to disappear as many others were. 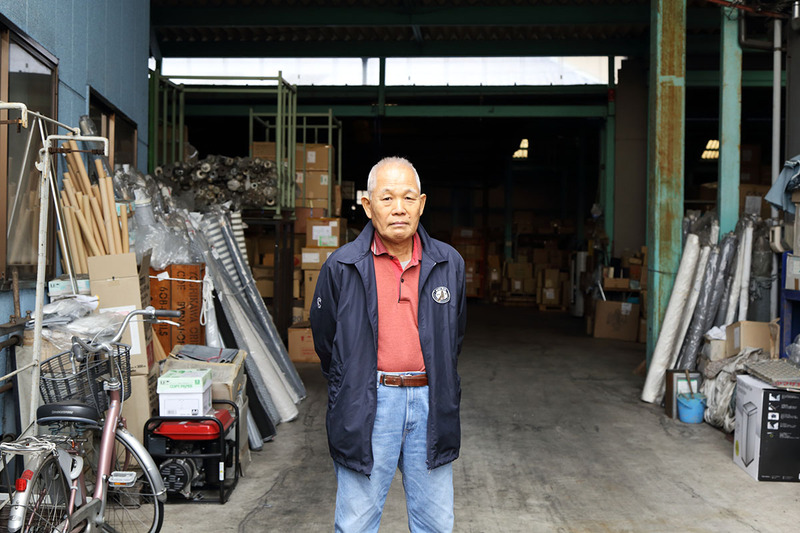 Mr. Hiromasa Hayama, the third generation President of “SANGYO” says, “I can say now it was a sense of mission of keeping this technique from disappearing in Japan, and at that time, I was self-absorbed.” He raised his hand in a flash to take over the anchor factory, including the land, building, and a then-52-year-old veteran craftsman. From that moment, fusion began between a high-precision processing technique using the state-of-the-art robots and the traditional free forging technique having continued for more than a century. 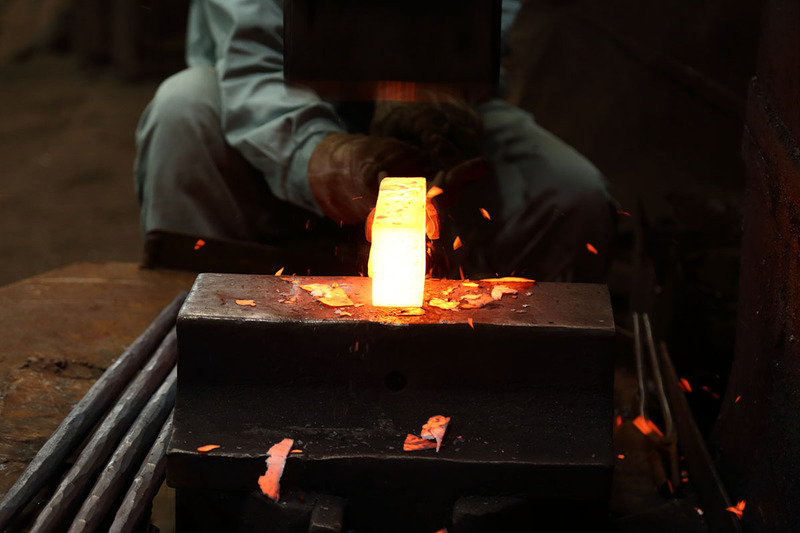 As previously mentioned, free forging fundamental to anchor-making is a technique of reshaping hot metal through application of pressure by striking with a hammer, etc., while enhancing the strength of metal. A solid metal blank heated up to approximately 1,250ºC shape-shifts when being forged with clanging sounds, and it can be bent easily while it is hot. Anchors are made in this way. 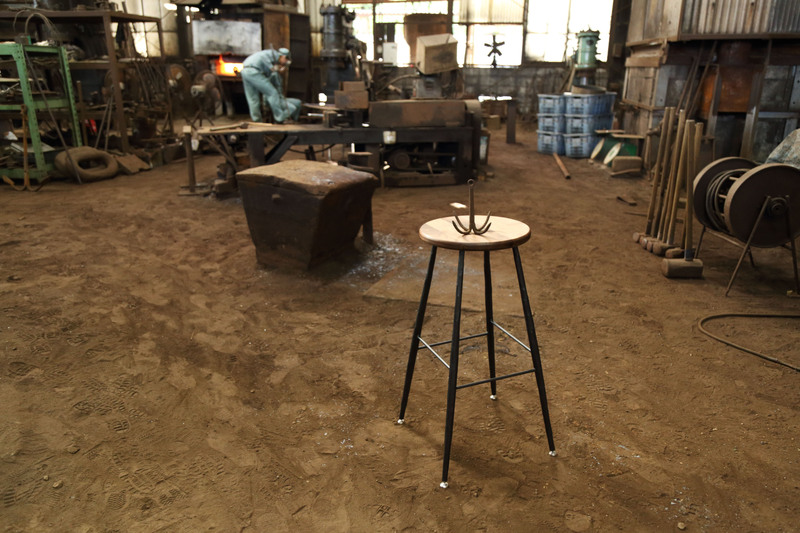 “TAonTA”-brand furniture is heavy because forged iron is used. “TAonTA”-brand furniture has a wavy surface because it is tempered with a hammer. Workprints of anchor manufacturing are directly left on the furniture because Mr. Hayama desired to pass the technique down to successive generations. The challenges of the manufacturer “SANGYO” and the furniture brand “TAonTA” have just started. When tradition and innovation crisscross each other, “the history of an entirely new tradition” begins.  The stools lined up at the high counter bar of ANCHOR BAR and the side tables laid out on the bar floor are “TAonTA”-brand. Stability of the heavy stools are outstanding despite their heights. People are instantly captivated by the unique presence of the side tables. The bumps and dips of the legs are proof of made by hand. The awkward but warm texture is appealing. Established in 1951 as a blacksmith focused on making fishing gear, etc. Now manufactures parts for bridges, cranes, important parts of large buildings, etc., by combining the technologies of manual and robot welding, painting, 3DCAD, etc., for precision cutting work. Launched the furniture brand “TAonTA” in autumn 2018. Carries out furniture-making by using the anchor manufacturing technique.